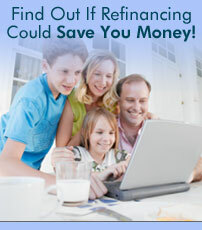 BridgeMortgages.com does not offer home refinance, purchase loans or 2nd mortgages. BridgeMortgages.com is not a lender or a mortgage broker and does not provide mortgage relief assistance. BridgeMortgages.com is a website that provides information about home mortgages and does not offer home loans directly or indirectly through any representatives or agents. We do not direct market by phone or email towards consumers. By completing the forms on this site puts you under no obligation. By clicking "Submit" I am consenting to have my information shared with up to four brokers or lenders and other business partners and for them to contact you (including through automated means; e.g. autodialing, text and pre-recorded messaging) via telephone, mobile device (including SMS and MMS) and/or email, even if your telephone number is currently listed on any state, federal or corporate Do Not Call list. Contact our support if you are suspicious of any fraudulent activities or if you have any questions. BridgeMortgages.com is not responsible for the accuracy of information or responsible for the accuracy of the rates, APR or loan information posted by brokers, lenders or advertisers. Terms like "low rates", "bad credit", "lower payments" "consolidate debt" and "save" are not offers for credit defined by paragraph 226.24 of regulation Z. Mortgage Rates refers to a negative amortization that is only a start rate and the interest rate is not fixed. After borrower reaches the cap (ie. 125% the loan balance can increase) and the interest rate becomes variable. See the terms for the COFI index for margin and caps applicable to payment option terms. "Neg-Am" or negative amortization may cause a borrower's mortgage balance to increase. BridgeMortgages.com is not associated with the government, and our service is not approved by the government or your lender.